WASHINGTON — The chairman of the House Armed Services Committee has targeted most Pentagon support agencies for a 25 percent cut, proposing seven be shuttered entirely. If adopted, it could lead to thousands of defense civilian job cuts and massive changes for defense contractors. Texas Republican Rep. Mac Thornberry announced the proposal Tuesday, aimed at eliminating bureaucratic waste to reap more than $25 billion to reinvest in war fighting. The moves come after he and other pro-defense lawmakers won a two-year budget deal that boosts defense to $700 billion in fiscal 2018 and $716 in fiscal 2019. The proposal netted swift condemnation as “foolish and shortsighted” from the American Federation of Government Employees, which represents 700,000 workers in the federal government. “Proposing across-the-board budget cuts and eliminating agencies that support the war fighter is counterproductive to our national security mission and disruptive to the lives of civilian employees, many of whom are veterans, whose jobs could be eliminated if Congress approves these cuts,” said AFGE National President David Cox. On Tuesday, Thornberry unveiled at a news conference legislative language aimed at taming what he sees as uncontrolled growth within the Defense Department’s “fourth estate” agencies, which are supported by 200,000 civilian personnel and 600,000 contractors, at a cost of more than $100 billion per year. Defense Information Systems Agency, whose information technology support mission would be folded into U.S. Cyber Command. Defense Technical Information Center, which acquires, stores and disseminates scientific and technical information to aid in defense research and development. Office of Economic Adjustment, which aids communities hurt by defense program changes, including base closures. Defense Technology Security Administration, which guides policy on U.S. arms transfers overseas to safeguard America’s military edge and prevent the diversion of defense-related goods to terrorists. 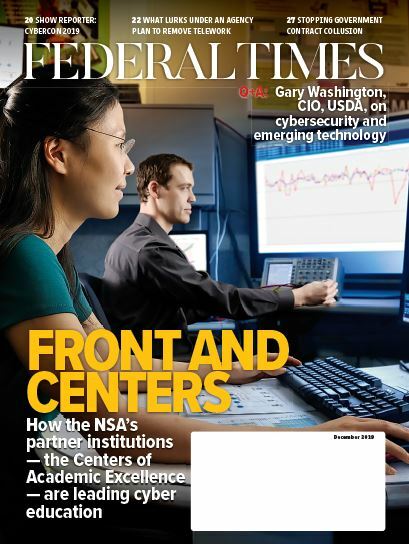 Test Resource Management Center, which coordinates among DoD test and evaluation facilities. Defense Human Resources Activity, which guides and implements human resource initiatives, budgets, policies and programs. The proposal is not law, but draft language intended for the 2019 National Defense Authorization Act, which is due to be marked up in full committee next month — and later reconciled with the Senate’s expected version of the NDAA. The U.S. Defense Department made a handful of the wasteful government blunders targeted by Sen. Jim Lankford’s latest “Federal Fumbles” report. The cuts, if adopted, would not take effect for two years. DoD’s chief management officer would gain new service secretary-like authorities over the agencies and submit a plan by March 1, 2020, to execute the cuts by Jan. 1, 2021. DoD combat-support and intelligence agencies would be exempt from the proposed cuts. That includes the Defense Intelligence Agency, the Defense Health Agency, the National Geospatial-Intelligence Agency and the National Security Agency. 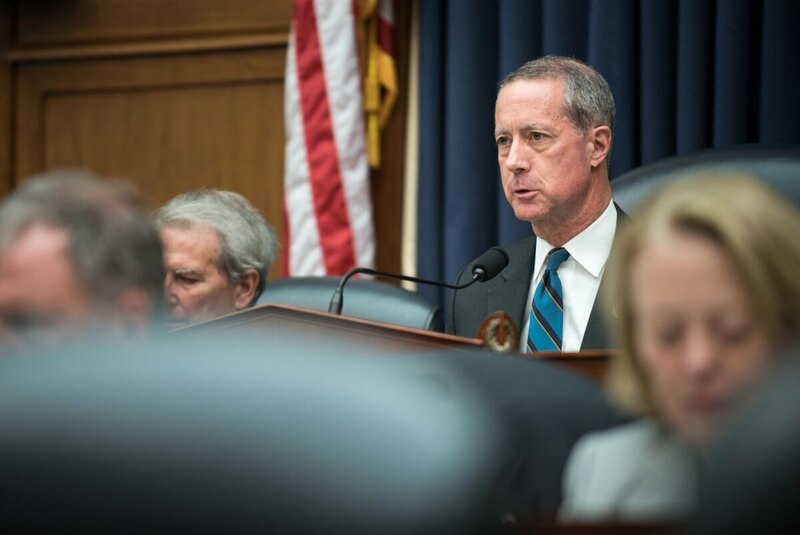 At the news conference, Thornberry defended likely cuts to the civilian and contractor workforces as an attempt to streamline Pentagon decision-making. He cited more than 20 agencies that have input into the Committee on Foreign Investment in the United States as an example of DoD redundancy run amok. The moves, he said, are consistent with his and the new Defense Department leadership’s commitment to getting better value for taxpayers and make DoD more agile. “I’m not saying they endorse all this stuff by any stretch, but I do think we are trying to swim in the same direction,” he said, adding that he wanted to spark a discussion with the DoD’s own internal reform cell. “We have to have a culture that is willing to be disruptive if we’re going to adequately defend the nation,” Thornberry said.